The Grub Street Lodger: QD Leavis' 'Fiction and the Reading Public' review. 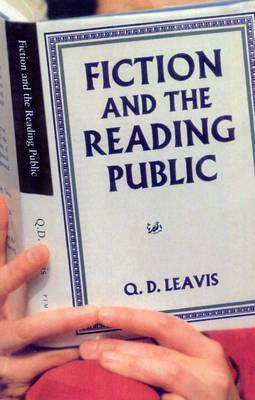 QD Leavis' 'Fiction and the Reading Public' review. ‘Fiction and the Reading Public’ uses business models, cultural history and textual analysis to argue that culture has (almost irrecoverably) dumbed down. However, as passionately argued as the text is, the research Leavis has put into arguing her point could just as easily be put to arguing that culture has become more sophisticated, with audiences choosing different texts for different needs. This book interested, bored, amused and angered me. I wrote almost 250 words of notes and found my thoughts haunted by it for some time. There are moments when I also feel we’ve lost something serious and meaningful as a society, which draw me into the arguments but then I remember the sheer range of culture that I can (and do) partake in and it all seems a bit silly. Aristophanes complained about dumbing down in ‘The Frogs’, Pope waged a war against ‘dulness’ - it’s not a very original idea. What is original is the vigour Leavis goes into pursuing what seems like a tired line of inquiry. She argues that in the modern age (in 1932) there are four kinds of books; highbrow literature, middlebrow literature that wants to be higher, middlebrow literature which is happy as it is and bestsellers. She regards only one of these doing the proper job of the novel which is ‘not to offer a refuge from actual life but to help the reader deal less inadequately with it.’ She feels the public are alienated from the higher works of literature and are being offered sub-par literature which goes too far to accept, rather than challenge, its readers and so fails to develop them as people. According to the historical section of the book, this was not always the case. Elizabethans, not being a literate culture, formed their patterns of thinking from traditional folk knowledge, stories from the Bible and a massive amount of public singing. They ‘acquired their language from living conversation and not cheap, printed matter’ which meant that when they did write, it was full of invention and life. The influence of puritanism meant that even as literacy was growing, they still only had access to firm, thoughtful staples like ‘The Pilgrim’s Progress’ and the works of Daniel Defoe. Because there was little children’s literature or cheap literature, those learning to read did so with solid, good adult writing. For Leavis, this means that the birth of the novel was one with solid foundations but these were soon to wobble and then to shatter. With the introduction of Richardson’s (interminable) psychological delving and the development of sensibility and romanticism, the world was shortly to be broken. From being a ‘public prepared to take some trouble for its pleasures,’ readers grew ‘habits in-amicable to mental effort.’ Authors went from people with a better handle on the world and taught their readers, to people as immature as their readers who sympathised with them. The final blow was the democratisation of newspapers (largely caused by Dr Johnson house saviour, Lord Harmsworth) and the creation of cheap paperbacks to sell in places like railway stations and chemists. Of course, this historical reading is a pile of crap. Elizabethan writers were just as inspired by what they read as modern writers. In all his work, Shakespeare only created a handful of his own plots - and writers like Greene complained that Shakespeare’s work was dumbing down the stage. 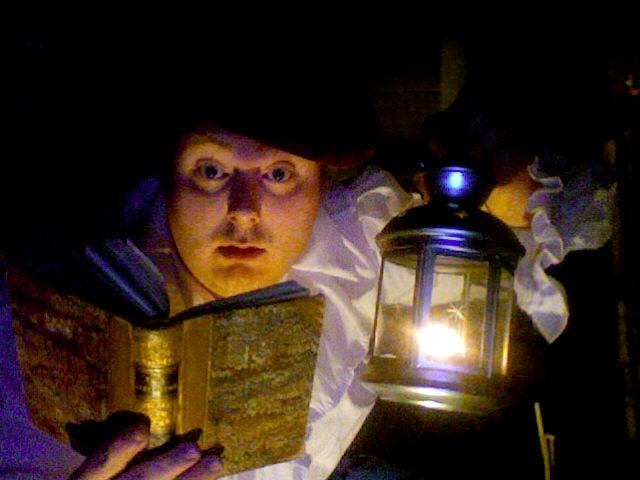 As for the puritan era of pure reading, this was when the later tales of chivalry had their moment, the birth of children’s literature and the existence of the whole genre of chapbooks, which were designed for the less literate in mind. As for the analysis of the novel from the eighteenth century on - she neglects pretty much the whole of Grub St and the frequent Jeremiads from writers who thought other writers weren’t writerly enough. What the history would suggest to me, is that as more people read, the needs of the reading public became more complex. It is true that there are many books that are read for relaxation more than stimulation but that’s no bad thing, it’s just one of the many purposes of the novel that can co-exist. There are worryingly authoritarian notions that the increase in literacy only ended up devaluing literature; it almost sounds as if she would prefer it if most people did not read so their tastes won’t muddy her pure waters. She regards the common reader (whose opinion Samuel Johnson would often defer to) as a herd who are led into their reading and not individuals who make choices based on their needs. It’s strange, because her analysis of the techniques of bestsellers is really sound. She identifies how they target the heart more than the head and how they encourage the reader to put themselves into the story. However, she doesn’t seem to recognise that these attributes are due to the increasing skills of writer and reader. 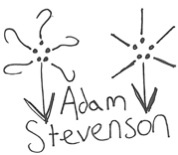 When she complains that modern writers sketch bold outlines of characters for the reader to fill in, she doesn’t respect the ability of the reader to do this. If good writing is like a conversation (as Sterne says, and she agrees) Leavis doesn’t acknowledge the importance of the reader’s side of it. The last section, where Leavis compares examples of high/middle/low books manages to cause a great deal of unintentional comedy and make some good points. The good points are around how a novel can survive despite its faults because being such a long investment in time, its effects are accumulative, unlike the sharp shock of poetry. The comedy comes from her flashing quotations of three different texts on a page and essentially saying, ‘see, that one’s better’ without any real explanation why. As flawed as I find the book, it does create thought and discussion and I want to end my review on some positive notes. The texts Leavis chooses to champion have certainly lasted longer in the public consciousness than those bestsellers she derides - I would argue that this is another example of the texts fulfilling different functions - but her eye for a classic is very astute. I was delighted to see her championing of Eliza Haywood (whom I love) and her warm recommendation has really encouraged me put Pilgrim’s Progress on my to-read-soon pile. She also has a wonderful way of slagging off texts she doesn’t like (her Man of Feeling rant is very entertaining). If anyone really wants to read a conservative diatribe against modern taste, I’d recommend this far above Christopher Bookers loathsome ‘The Seven Basic Plots’.